The health of our physical body reflects our state of being; battles are fought on many fronts as we experience life’s lessons throughout the years; disease and dysfunction can manifest as a result. Processing of the circumstances we face involves emotional responses, whether that is in this life, or another; the outcome can create energetic imbalances that lead to health issues — we each are responsible for our wellness, consciously or unconsciously. Along with emotional reactions, which can determine our psychological state, aspects surrounding our spiritual condition, such as spiritual stress, also relate to our wellbeing. The energy system of our body regulates and controls many elements of our lives, which includes the seven primary chakras; the location an illness forms is key in understanding its cause. If our immune system (energetically and physically) is very strong, we will not get sick, but there are always exceptions. Take for example the side effects of an effective energy healing or even a huachuma, or ayahuasha, plant medicine ceremony, as some people can find that they develop flu like symptoms afterwards, or a range of other issues, which are simply a result of the body cleansing and purging, naturally. 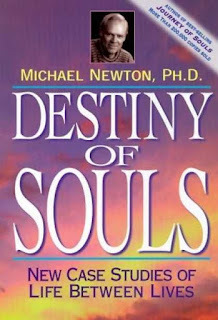 In the book, The Creation of Health, by Caroline Myss, Ph.D., and C. Norman Shealy, M.D., they discuss eight categories to better explain the dysfunctional patterns which go towards the formation of illness; the first is the presence of unresolved or deeply consuming emotional, psychological or spiritual stress within a person’s life; the second is belief systems and not being open to certain concepts which can impact health and that having a positive attitude is essential; the third is the inability to give and receive love; the fourth is the lack of humour and taking life too seriously; the fifth relates to having choice taken away from us; the sixth is not taking care of the physical body; the seventh relates to the loss of meaning in one’s life; the eighth is denial around facing life’s challenges where change is actively required. While the foundation around why we get sick sits with our emotional and psychological state, there are many factors that influence the health of our immune system so that illness, and/or dysfunction, can manifest. 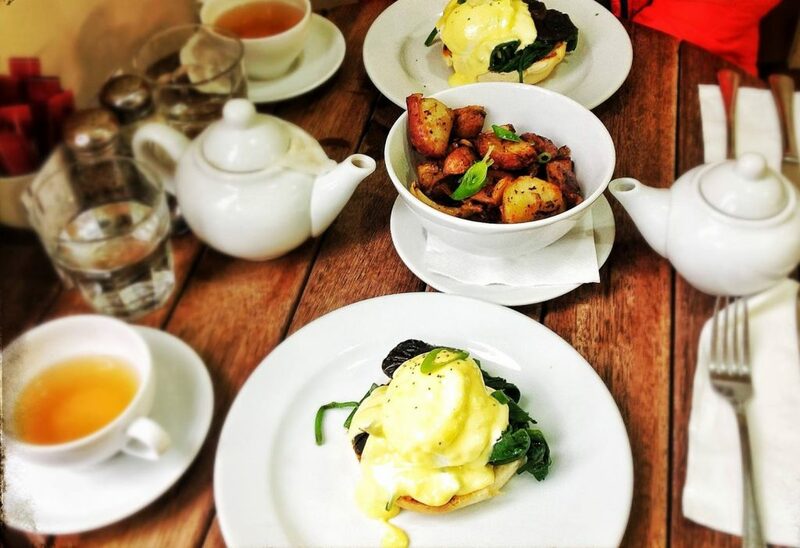 Nutrition is very important with maintaining a healthy physical body, so if our diet is not right, deficiencies will occur. Exercise — necessary for not only keeping excess weight off, in combination with healthy eating habits — contributes to the state of the energetic make-up of the body, including the health of the chakra system. Psychic based sensitive’s who have the ability to sense a person’s aura, have reported seeing thick grey areas, or clouds, of energy surrounding people who have a history of smoking, excessive alcohol consumption and/or long term drug use. Such activities don’t just lower the immune system and increase the chances of health problems arising, but also go towards creating blocks to ‘spirit’, which can impair one’s guidance, judgement, and spiritual progression. Nuclear fallout, pesticides, herbicides, and industrial pollution, all have a negative impact on our immunity. A person that regularly exercises outside within the vicinity of heavy traffic, such as in a large city, will be breathing in exhaust based pollution — similar to being a cigarette smoker. There are many pharmaceutical based medications which are not necessary and have a great deal of negative side effects. More and more alternative options are becoming available which people can look into, to help them deal with their health concerns. Herbal and bach remedies, vitamins, as well as varying healing based modalities, are known to not only be more effective, but also don’t contribute towards lowering one’s immunity and causing additional health problems. Our personality can indicate a choice being made, possibly in relation to our soul contract, based on personality traits. Studies done by Dr Caroline Thomas of Johns Hopkins Medical School in the U.S., revealed that high blood pressure, cancer, tuberculosis, and heart attacks, are all linked to the type of personality a person had twenty to thirty years before those health issues arose in each individual. 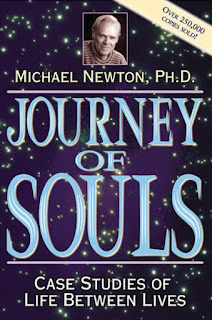 Within Michael Newton’s two books, Journey of Souls, and, Destiny of Souls, through establishing a pattern of information from thousands of his past life regression based clients, he explains that we come into this life with a plan, and a soul contract. This is not a concept solely explored by Michael Newton, but a common understanding within many areas of metaphysics and spirituality based teachings. Newton is one of the best sources out there who captures this situation in such detail, and accuracy. With the help of a group of gifted psychics, in the book, Your Souls Plan, Rob Schwartz also touches on this topic. The psychics perform readings which go to validate each other’s results, based on ten different people, and reveal we each come into this life with not only a purpose, but also certain health conditions that were agreed upon for our learning as spiritual beings. Genetic predisposition is when the development of a certain disease is more likely to occur because of the genes of a parent. In this situation, it is likely that we take a role in choosing and/or being aware of such a condition before coming into this physical body, which links into reincarnation. Sometimes things are meant to happen, no matter what we do, because they are part of our learning, and this is why some conditions can never be healed. It is my feeling that thought forms which are created from group belief, play a powerful role in relation to people being more susceptible to manifesting a health condition, and that this is sometimes purposefully targeted through those with varying agendas. The group may be a family or extend out beyond a small community. It is therefore important that each person comes into their power, and moves beyond the beliefs of their culture, religion, and family values. Independence can help to greatly towards improving our health. Being around certain people on a regular basis can also provide a negative influence based on a number of factors, such as their attitude, mental state, and belief system. Some people do carry around ‘negative’ energy which can influence others. This energy may be there as a result of some unhealthy habits which could include drug use, and/or excessive drinking. They may also have what some people refer to as ‘attachments’, which I feel are often misunderstood; I sense them to usually be self-created attachments that grow from egoic elements that are fed to higher degrees, based on one’s lifestyle and habits. Accidents do happen in life. Some events that we find ourselves in are not controlled, and therefore random. I feel that emotion is a common catalyst, such as frustration and anger, where other accidents are guided and planned, in a way, to occur on purpose. The severity of the accident, and long term impact, plays a role here, but there are a range of situations that can occur based on many factors. Sometimes we need to slow down in life, so a situation can form, planned with our guides and/or higher self, who may give us a bit of a push; this could relate to having them directly interact with our thought process and decision making, which can also include involvement with another party. We may fall down a flight of stairs and break a bone, or sprain an ankle; if such a situation did not occur, we could have kept on heading in a direction taking us away from our planned path in life. We also might have ended up quite destructive in terms of our health, including the health of those around us, if nothing was done to stop us going in a certain direction. Karma can be connected into accidents based not just on what we give out and get back, but on plans made between people in our soul group. 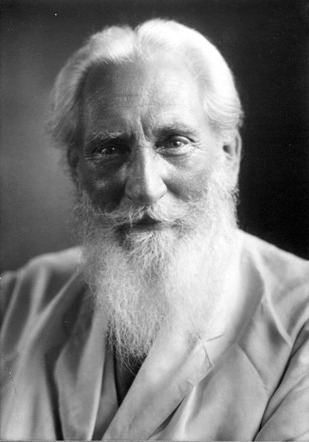 Charles Leadbeater (1854–1934) played an important role in the Theosophical Society. He wrote many metaphysical based texts and has had at least 69 books published. In InvisibleHelpers, by Charles Webster Leadbeater, it is explained that those who are able to consciously project into the out of body state, can develop the ability to visit locations in the real world, and through etheric energy manipulation, interact with people who need help and assistance, such as those stuck in a burning building, or to provide a warning about an imminent event. People can be saved from an accident with the interference, or, assistance, from others, but sometimes things are meant to happen, and those that interfere can contribute to changing a soul’s plan and creating karma, depending on the situation in question. Based on research that Dr Julia Kzhyshkowska has been involved with at the Mannheim Medical Faculty, in Germany, it has been shown that useless information, based on an ‘uncontrolled flow’, and which is often negative, can lead to an increased chance in cancer developing. The energetic system that exists beyond our five human senses, runs our spiritual and physical health. After we arrive in this world, each chakra begins to develop sequentially, and more fully, as the years pass and we move into adulthood. The conditions in our lives during these early years play a very important role in terms of not only our health later on in life, but also our psychological state. Through dealing with day to day situations, imbalances — which may connect back to childhood, and/or recent events depending on the circumstances — can form within each of our seven primary charkas; illness and/or dysfunction can manifest as a result. Energetic imbalances in the Base chakra can reflect the overall strength to support the body, the health of the legs, the hip joints and base of the spine, which includes the pelvic area. A few common issues that can arise are: rectal difficulties, cancer, sciatica and lower back pain. Health issues that may come up as a result of an unhealthy Sacral chakra are usually based on fears people may have around losing control. They can be: prostate or ovarian cancer, arthritis, chronic pain in the lower back and hips, menopause problems, kidney problems, candida, fertility issues, appendix disorders and sexual diseases. With the Solar Plexus chakra, feeling overwhelmed with responsibility can cause: gastritis, esophagitis, indigestion, heart burn and abdominal pains from ulcers. A person’s fear and anger around their lack of personal power can create issues such as: anorexia and bulimia, nauseas, flu, cancer, pancreatitis, diabetes, kidney difficulties, hepatitis and adrenal gland dysfunctions. The Heart chakra is connected to the thymus gland — the master immune gland of our body, so broader based health issues can arise. The energy of this chakra is linked into the lungs, shoulders, arms, hands, diaphragm, ribs, heart and circulatory system. When this chakra has an imbalance in specific relation to the lungs, health conditions that can arise are asthma, emphysema, lung cancer, chronic bronchitis and pneumonia. Some people may feel an absence of love in their lives which, if strong enough, can manifest into a threatening illness. Bitterness, resentment and hatred towards others — the opposite of love — can lead to heart disease. Ongoing grief and chronic depression, as a result of experiencing great loss, can be a cause for cancer to develop. Loneliness can be a contributing factor towards heart attacks. From not expressing ourselves, blockages in the Throat chakra can create illness. Common health issues can relate to: teeth problems, gum difficulties, mouth and throat cancer, raspy throat and chronic sore throat problems, jaw misalignment, re-occurring cold sores, scoliosis, stiff neck, tension headaches formed at the base of the neck, swollen glands and thyroid conditions, tonsillitis and laryngitis. While the fear of having no power of choice or authority over our lives can go towards creating energetic imbalances, Caroline Myss explains that if we also fear the situation of being part of a larger self, such as source/god or some form of over-soul, our health and spirituality can be negatively impacted. Energy blocks in the Third Eye chakra can occur from ignoring, and not being able to see, specific aspects of our lives. Some situations are too painful to approach. We might also have constraints based on our cultural values and family beliefs. Some people can become very selfish with their actions, while ignoring and/or being unaware of the impact that they have on others; through taking more notice of others, we can further help to develop and improve the energy of the third eye chakra. This situation also ties into our emotions and ego, as they are usually what lies behind our decisions; our emotions can override our intellect when we act out of anger, jealousy, or even lust. Diseases that can manifest in connection to this chakra are: progressive blindness, deafness, tinnitus, neurological disorders, brain tumours, tension headaches and migraines, nightmares, eyestrain, brain haemorrhages, full spinal difficulties, eyestrain, anxiety, nervousness (including nervous breakdowns), comas, depression, schizophrenia, grand mal seizures, learning disabilities and blurred vision. Caroline Myss teaches that imbalances in the Crown chakra can come as a result of: not trusting in the natural supportive processes of life, having an absence of courage and faith, living based on the energy of negative attitudes that prevent an individual from seeing opportunities for change, fear of self-development including knowing oneself, and patterns of being selfish while not thinking beyond one’s personal needs. Our primary profession in life can bring much discontent; through finding our true purpose and changing what we do on a regular basis as a result, the crown chakra will develop further. Having a connection to our cerebral cortex and higher brain functions, the Crown chakra links into our nervous and muscle systems and our skin and skeletal structure. From refusing to take notice of the guidance coming to us, and ignoring our spiritual make-up including our ongoing pull to learn what exactly we are, we can negatively affect the state of our crown chakra — this can lead us to depression and ongoing fatigue. Chronic fatigue syndrome and fibromyalgia can be caused by a low level of energy activity in the crown chakra. Additionally, issues that can arise as a result of this chakra being out of balance are: depression, alienation, paralysis, genetic disorders, boredom, bone problems (including bone cancer), inability to learn, multiple sclerosis and amyotrophic lateral sclerosis. Negativity, which has been very well researched and explained by Caroline Myss under her archetype based teachings (the ‘victim’), can cause people to remain sick as well as develop further health issues — accidents are also likely to occur more frequently. A person’s mindset is crucial in regards to their health, as their energetic system, in combination with their state of mind, can greatly contribute to why they won’t heal and why they continue to get sick. Our past lives play a role in our health, as the energy link to an illness or dysfunction can lead back to another experience outside of this life. Through past life regression, the cause can be found and acknowledged so that healing can take place. If we want to be healthy, we can be. The concept of treating our bodies as a temple still rings true. Our body not only reflects our health, but is an opening into our soul, which can be further accessed, and continually developed, through healing and healthy living. While life is about learning to let go, including the desire to control, this philosophy is not always appropriate as we need a certain level of control to discipline our mind into not only thinking more positively, but to make the decisions in life which go towards enhancing our health. As we grow, our soul can provide inspiration that we should respond to, as that guidance is an important part of finding and maintaining our purpose in life. Morality does link into our health, as integrity and purity in mind and action provides us with a foundation which can naturally bring much positive change. From looking after your health, you are not only helping yourself, but you are establishing higher spiritual energies that form and shape your on-going existence in this life, and beyond; your state of being unconsciously influences those around you. The healthier you are, the healthier others will become. © Copyright 2015 Laron G. S. — all rights reserved.